Any chance this may be recorded as a podcast maybe? Yes - I plan to record it and post later online. 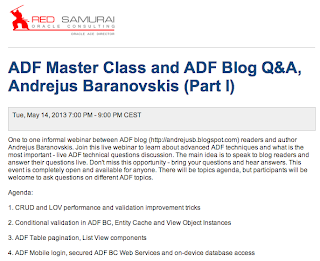 Pretty good idea and way to extend your great blogging work on ADF. Thanks for the webinar. I enjoyed it. Any chance to provide the recorded session details ?